I have been looking for appropriate opportunities to share my passion for programming with my nieces and nephews without either boring them or frightening them away, so far I really like the approach of Kids Corner within Microsoft’s Beginner Developer Learning Center. Are you a cool kid who wants to impress your friends and family with your mad skillz? 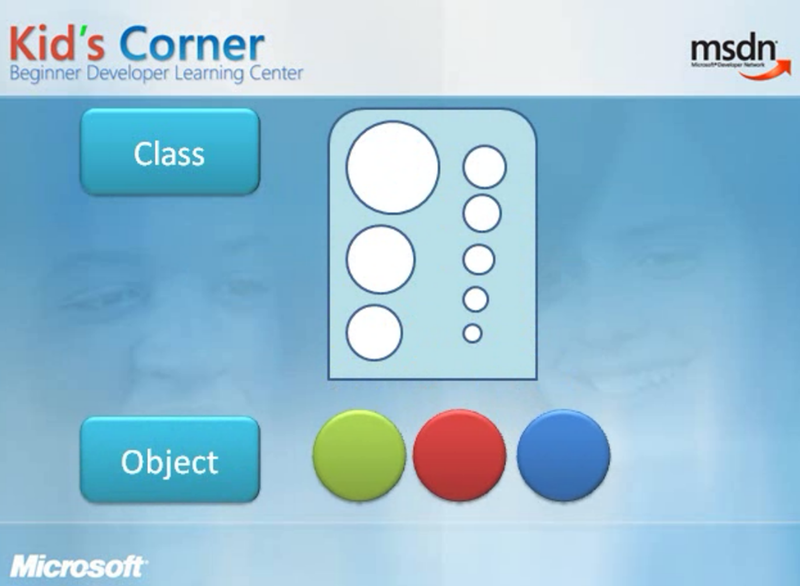 Check out the Kid's Corner for lots of fun, easy to understand lessons on programming! Learn about using Visual Studio Express to create awesome code. Learn what to do and why it works. Learn all about programming in Visual Basic or Visual C# watching these fun and easy videos! It is a decent start, it is obvious that the site needs a little tender care, both the site and the content appear a little old but at least I have a little direction to presenting career possibilities to my families next generation.